Some movies inspire extreme reactions, both good and bad. Positive passion, and negative passion. Rapturous appreciation, and out-right loathing. Now, this should not be a surprise – after all, the bell-curve was developed based on reality. That reality being that most everything, and everybody, was mediocre, and only the barest few rise, or fall, below it. To be blunt, very few things are outright good, or outright bad. Which is why most of the entries in this series answer the question of, Better than best?, with an easy no. Very few things are the best, and even fewer are better. In the early part of the 20th century, the fortunes of two British families – the wealthy, conservative Wilcox’s, and the economically-secure-but-not-wealthy, intellectual Schlegel’s – intersect in different ways. And because these two families, and the disparate folks who happen into their orbit, come from different parts of society, there are all sorts of minor culture clashes amongst the different parties. In short, it’s a soap opera of very stiff-upper-lip types, which means it’s fairly quiet and more concerned about propriety than anything else. 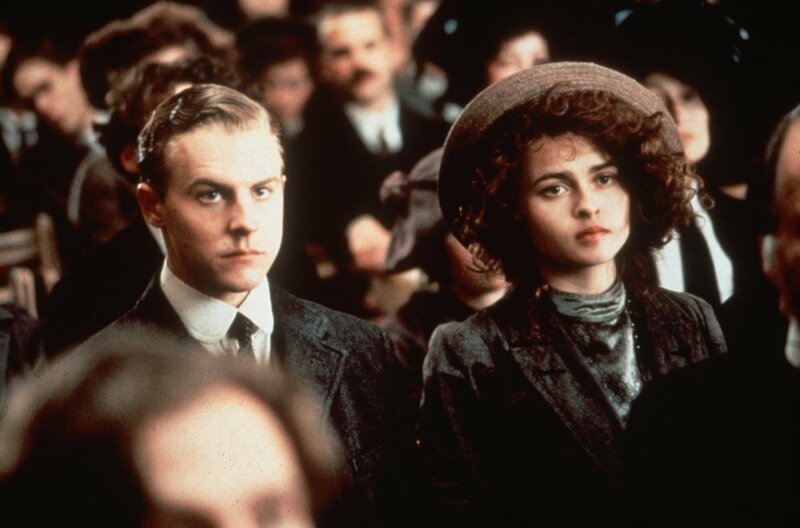 Helen Schlegel (Helena Bonham-Carter) becomes momentarily engaged to Paul Wilcox, the youngest son of the Wilcox family. Later, after that entanglement is done in, Helen finds herself wrapped up in the life of a lowly insurance clerk, Leonard Bast (Samuel West), and his gauche wife, Jacky. Margaret Schlegel (Emma Thompson) makes friends with Ruth Wilcox (Vanessa Redgrave) – Paul’s mother – in that woman’s final days, and unbeknownst to Margaret, is to be made a gift of Ruth’s house – Howard’s End is the house – upon Ruth’s death. This is a gift the rest of the Wilcox’s immediately conceal from Margaret, then dishonor. 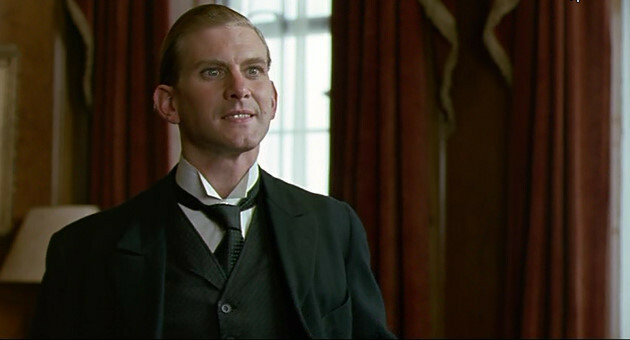 Margaret eventually marries Ruth’s widower, Henry Wilcox (Anthony Hopkins), much to the chagrin of Henry’s children, especially Charles (James Wilby), who seems to believe Margaret is some sort of fortune hunter and should be driven off. Henry is later revealed to have been a one-time lover of Leonard Bast’s wife, Jacky, who he first encountered in Greece. Much friction ensues when Helen brings her to the wedding of one of Henry’s children. Also, after Helen and Margaret casually mention Leonard and his employer to Henry, Henry says Leonard’s employer is about to go broke, which causes Leonard to quit his job and seek another, eventually spiraling him into poverty when his subsequent jobs all fall through. The kicker? Henry later carelessly admits he was wrong on that one, the employer was fine, and basically shrugs it off with an, “Oops, my bad.” Of course, once he finds out Jacky is married to Leonard, he refuses to help Leonard find another job. Leonard eventually impregnates Helen – it is an adulterous moment – and even though Charles it not really family to Helen, and he seems to despise the Schlegel’s, Charles accidentally kills Leonard in some weird ‘defending her honor’ sort of way. Charles is eventually jailed for this killing. Finally, Henry decides that upon his death he will leave Howard’s End to Margaret, fulfilling his dead wife’s wish. 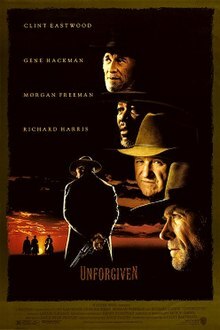 Because the movie plays out over the course of these various stories, there is no central unifying story drawing it together in any cohesive way. Sure, the lineage of the house, Howard’s End, drives much of the action, but at the same time is immaterial to as much as it is material. After all, while it is central to Charles’ story, and certainly important to Henry’s, it’s basically tangential to Helen and Margaret’s, and has no connection to the Leonard Bast story at all, other than he is accidentally killed there when he comes to see Helen. In fact, the house has very little bearing at all on the relationship between Ruth and Margaret – so little bearing that the gift of a house to a newly-formed friend seems odd. And because the film is told this way, with episodes only occasionally bumping into one another, the film feels as if it really does not have a true leading performance, or performances. For instance, despite being top-billed, Hopkins doesn’t really arrive into the film until thirty minutes in, and he occasionally disappears for long stretches. And while much of the story seems driven by Thompson and Bonham-Carter, they each have their own extended periods off-screen – especially Bonham-Carter, who all-but disappears from the film for what seems like an eternity at the end. So the film feels…unfocused. Worst for me is the film relies too heavily on coincidence – how perfect is it that Helen and Margaret take a shine to Leonard Bast, who just happens to be married to Jacky, who just happens to have been the one-time lover of Henry in Greece, who just happens to marry Margaret after Margaret makes friends with Ruth, who dies and happens to leave her a house that will not be given to her? One can accept a certain amount of coincidence in the movies, because life is full of coincidences, but this is all just too much to ignore. All of this, of course, overlooks that much of the movie would cease to exist if people would (a) just talk to one another instead of hiding everything behind the veneer of propriety, and (b) mind their own damn business. Thompson won the Best Actress Oscar for her work in the film, and she does give a fine performance. She’s a bit flighty to begin, when she seems settled into the notion of being an old maid, until she finally flourishes in her marriage to the much-older Henry. As Margaret, Thompson is charming and witty and pretty, which means I cannot believe this particular woman would ever be an old maid, needing to be saved by an old rich man. She’s just too attractive. Which is probably an inadvertent truth about the movie business – even in the movies the plain-Jane’s have to be attractive women. That all said, while Thompson won the Oscar, the crucial, yet overlooked, performance was given by James Wilby as Charlie Wilcox, the brutish, elder son who accidentally kills Leonard. Even though the death is truly accidental – he wants to beat Leonard up, but not really hurt him – we have no sympathy for the killer because Wilby plays him as entirely risible. In this way, Wilby makes him the perfect villain – he’s handsome, has some charm, and worse, his motives are not all that bad. He just wants to preserve his family fortune and name, he just goes about achieving it in the wrong way, which makes us have to hate ourselves for sympathizing with his goals. In the end, his is the kind of performance that won’t win any awards, even as it is exactly what this sort of film needs. 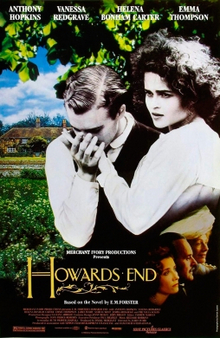 In the year that Unforgiven won Best Picture, and other nominees included Neil Jordan’s The Crying Game, not mention 1992 was the year of A River Runs Through It, there is no way Howard’s End could ever be argued as being better than the best.